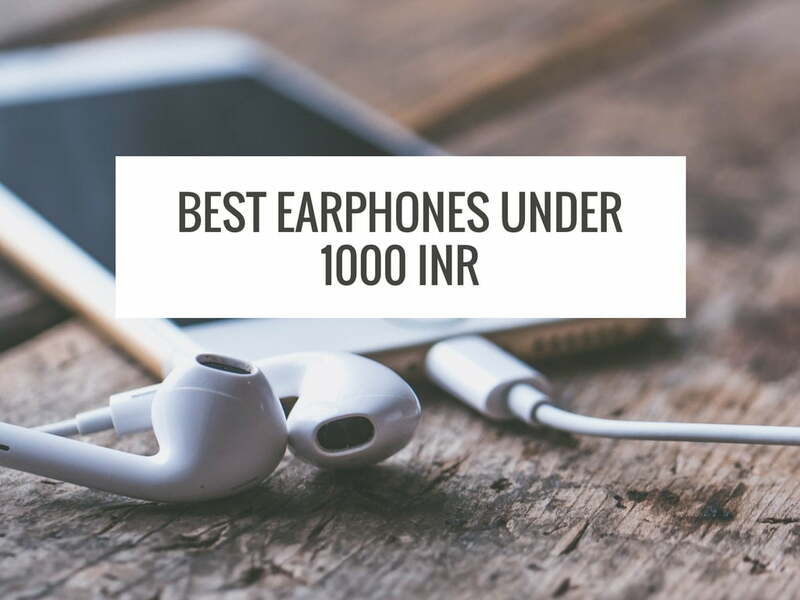 If you look at the huge array of earphones available under $15(or 1000INR), the chances are you would get confused while selecting the best earphones. 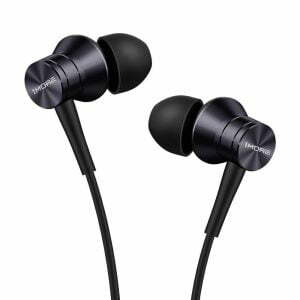 Most of the users are well accommodated with the earphones that come with their smartphones, which are kind of decent. But, if you’re one of those who would like to level it up, or maybe your smartphone OEM didn’t provide one in the box, here’s an article on the Best Earphones Below 1000! Sound Quality : The sound quality of most of the earphones at this price point lacks atleast one of these things : Highs, Mids or Lows. Though, many of the manufacturers have got all of these optimized, they do lack the bass out there. Build Quality and Durability : One sould expect good and long lasting build quality. Rock Zircon, 1More Piston and Mi Basic have got metal built which is a plus point! Guarantee/Warranty : All the companies provide at least 12 months warranty. Coming from a Chinese company named ROCK, these earphones are definitely the best one can find in Indian market as of now. 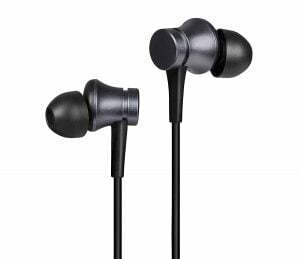 These earphones have a build quality which screams Quality, premium feel and sound quality which can’t go unnoticed. The sound from these is HiFi and Crystal clear! Highs, Mids and Lows, everything is just balanced! Even the Bass is perfect in Rock Zircon! Rock Zircon rocks an 8mm driver with an impedance of just 16 ohms, these are very well compatible with any type of phone! The cable is braided and aluminium and ceramic has been used in nearly each possible location. Rock Zircon come in 2 colors – Black and White with 3 different sizes of eartips. These are available for nearly $10-11 on Aliexpress, but are resold at $14 on Amazon. Before suggesting something from a company that is quite unheard, let me tell you about it. 1More is a company which is new to the market, yet making loads of buzz because their products provide value for money! It’s a San Diego based company, started by an ex-Foxconn executive and has production line up setup in China. This company is best known for it’s products like 1More Piston Classic, Triple Driver and Quad Driver. 1More Piston Fit is based on the ergonomics of Piston Classic with similar sound experience, basically an affordable version of the Classic. These have a powerful 10mm dual driver system that genuinely is Disrupting the other earphones out there! They come in 4 colours that have adopted an accent from Apple. Colours being – Space Gray, Silver, Blue and Pink. It comes with one button and a mic, button acts as a Play/Pause and Next song feature button. 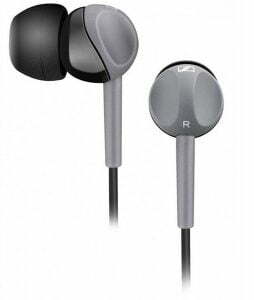 These earphones have an Aluminum body which gives an extra point in terms of Durability. These are probably one of the best earphones you can get around 1000. JBL C100SI comes with a powerful 9mm driver which is targeted towards the Bassheads. 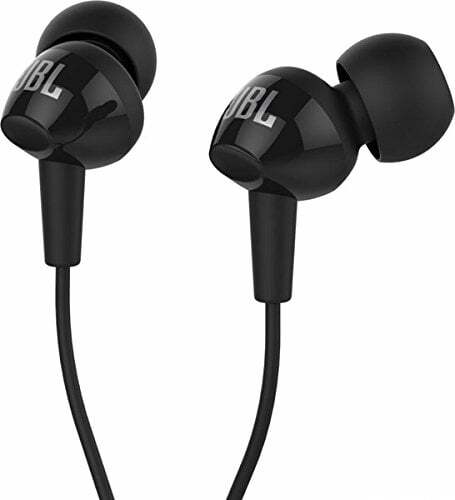 JBL is known for it’s audio quality and durability. These earphones have good Mids and Highs, though the Lows aren’t the best but one can’t complain at this price point. 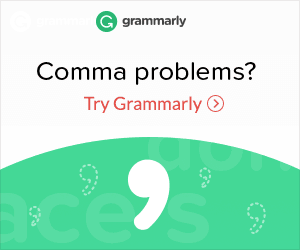 These are definitely comfortable and can be used for long durations. It comes with one button and a mic, button acts as a Play/Pause and Next song feature button. This specific model in 3 different colours – Red, Black and White, each packed with 3 different sizes of ear tips (Small, Medium and Large). It’s design has a JBL theme to it and is ergonomic in nature! Probably one of the Best IEMs to buy under 1000! I know this is the cheapest earphone in the list, but hey, let’s just list it, considering it’s the (or one of the) best earphone under 500. 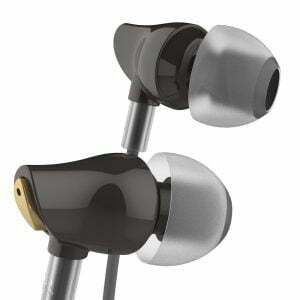 These earphones have a design similar to Piston Fit and these also rock a 10mm driver with Aluminium sound Chamber. 1More has designed Mi Earphones! Sennheiser CX180 comes with an 8.5/9mm driver (couldn’t find a proper source) which is promoted to perform really well in Bass department. The earphones have really good ergonomics, but the plastic used, in my opinion could’ve been a bit better. These pair of earphones have topped the Amazon charts for being one of the best bass-y earphones under 1000 INR. However, these earphones don’t really have the best highs. You’ll even find some Bass heavy songs getting bloated, which in my opinion is something a user won’t really prefer to go through. 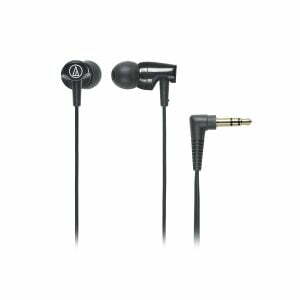 One plus point of buying these is availing the 2 years warranty which Sennheiser is famous for. Priced at 999INR, Brainwavz Omega is a total bang for buck! 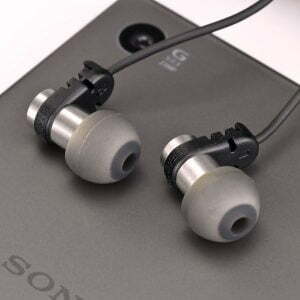 Even though with a smaller 6mm driver, these earphones are made to perform and deliver clear sound. Unfortunately, these aren’t the best piece of the Bass Lovers. Unlike CX-180, these lack the possibility of boosting bass and sound very natural. After using earphones like Rock Zircon and Piston Fit, the build quality of Omega feels a bit cheap. Even though these use plastics, these aren’t up to the par with other earphones like JBL’s build quality. Other than that, if you’re a person who can handle an earphone well and seeks for natural sound, these are meant for you! Looking at the other earphones listed, these are bit different. These aren’t your everyday audiophile earphones with the similar 45 angled design. 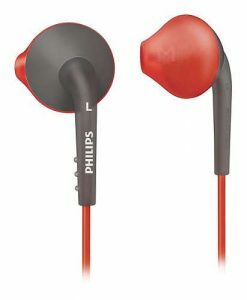 Philips ActionFit is an earphone series targeted towards the Sports and Gym enthusiasts. SHQ1200 has a 13.6mm driver and comes with a really different design aesthetics. Philips has used Kevlar coating to make it a bit more durable and used anti-slip rubber to prevent it from falling off way too easily during workouts! And even though these aren’t meant for audiophiles, these surprisingly have Good Sound Quality! These are arguably the best sports(gym) earphones under 1000. Coming from a company that has been in the Audio industry for a good time, ATH CLR100 are focused at providing clear audio. These have an 8.5mm driver which isn’t capable to deliver the best bass out there in this budget, yet provides balanced Highs, Mids and Lows. The earphones come with a carrying case (it used to when I had one) which is plus point! Build Quality of these isn’t the best in this budget though.